Folks from all walks of life visit our beautiful Western PA Winery and Inn for a variety of reasons. With so much popularity, it’s difficult to contain our excitement. Our hard work since opening in 2009 (on the land our family has cultivated for 5 generations) makes it all possible — for you. There’s a recipe behind what makes our quaint countryside B&B so special. 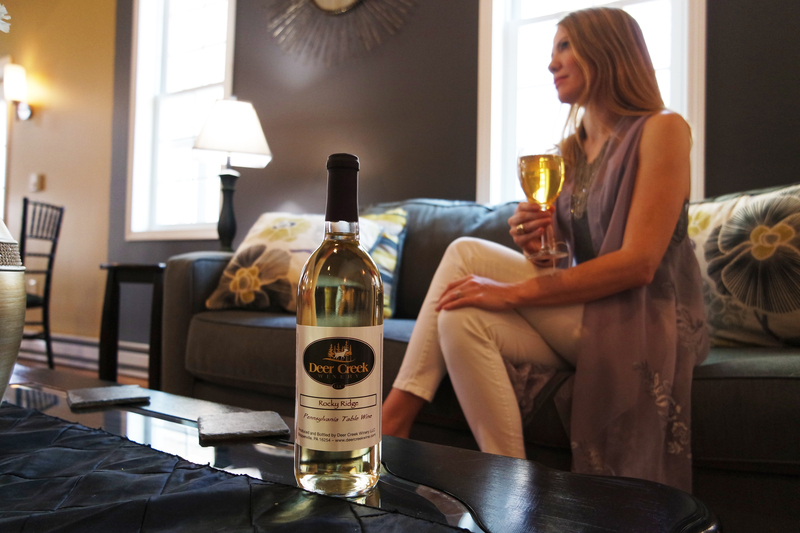 Start with a splash of wine, add 2 tablespoons of luxurious relaxation, a pinch of background music, an (optional) dash of romance, and you’ve got the perfect PA winery getaway experience! Sample our famed wine selection. From humble beginnings, we honed our skills with our original raspberry wines. In the following years, we’ve developed and perfected several dozen other wines for all Vinotypes (click here for a free guide to find yours). We’re vintners, and we couldn’t picture life any other way. Sit outside sipping wine on a warm summer evening. Curl up next to a crackling fire on a chilly winter morning. 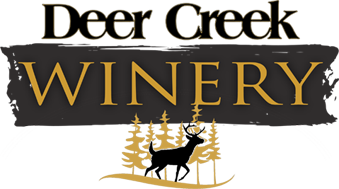 You can let the stressors of daily life roll off your shoulders at Deer Creek Winery. We’re sure you love your job and kids, but everyone needs to disconnect from time to time. Hike the trails winding through 100 acres of land sprawling around our majestic bend of Deer Creek. You’ll see the flora and fauna that make Pennsylvania, in our not so humble opinion, the most beautiful state in the country. But please don’t feel pressured. We’d never blame you for venturing away from our Inn and Winery for outdoor excitement elsewhere. We encourage it! There’s something soul fulfilling and therapeutic about our place. From regular painting sessions on the grounds to live musical acts every weekend, we pride ourselves on suiting everyone’s artistic tastes. You can draw inspiration from our scenic property. Or simply sit with a glass of your favorite wine and listen to any one of dozens of talented musicians and bands from the Clarion area that regularly stop by to play. Guests who leave after a relaxing stay at The Inn at Deer Creek Winery sometimes sign our guestbook with beautiful notes thanking us for the hospitality. Some of our most treasured, heartfelt responses came from couples celebrating anniversaries, Valentine’s Day, or just reconnecting to fan that special spark. Surprise her with flowers and chocolates in the room followed by a private, romantic dinner. Or schedule your stay around one of his favorite pastimes. You’ll get a complimentary bottle of wine while enjoying a stay in one of our 8 beautiful guestrooms, most of which feature an indoor hot tub. Letting others speak for us (you can find guest testimonials posted around our website and on social media), we know you won’t be disappointed. We have a small selection of rooms, and we like it that way. It lets us focus the service on you. We’ve said it often: we’re so much more than just a winery. We absolutely love hosting events. Whether you’re looking for our conference room for your business meeting or our Gathering Place for a large school reunion, our venues were built to accommodate a range of space requirements. You found the right cookbook here. Your perfect PA winery getaway awaits.